Joëlle Sleebos is an International Yoga Teacher living between Cape Town (South Africa), Ubud (Bali) and Europe. She started teaching group fitness in 1999 as a hobby-job, while she was studying at University. She has a passion for people’s healthy, well-being and vitality. She discovered yoga in 2007 in Australia. In the beginning her yoga practice was just an additional form of exercise, but since 2010, when she also started teaching yoga, it became her main form of “exercise”. Since 2012 she made a radical change of career and changed her hobby into a full-time job in the fitness and yoga industry. This was the best choice she ever made as she absolutely loves what she does!!! Joëlle has a Master degree in Economics and has her whole life been passionate about people, exercise and teaching. For years, she maintained two careers; one as an economist and one as an instructor (yoga, group fitness & personal trainer). In 2012 she decided to focus fulltime on what she is really passionate about: increasing people’s quality of life by helping them to improve their physical and mental vitality! Hosting yoga retreats and organising yoga events around the world is Joëlle’s main enjoyment in life. Apart from teaching yoga in Cape Town, Bali and Europe, she is also a qualified Personal Trainer. She guides people to make lifestyle changes by becoming more aware and changing their habits regarding: sport, nutrition, stress and rest. 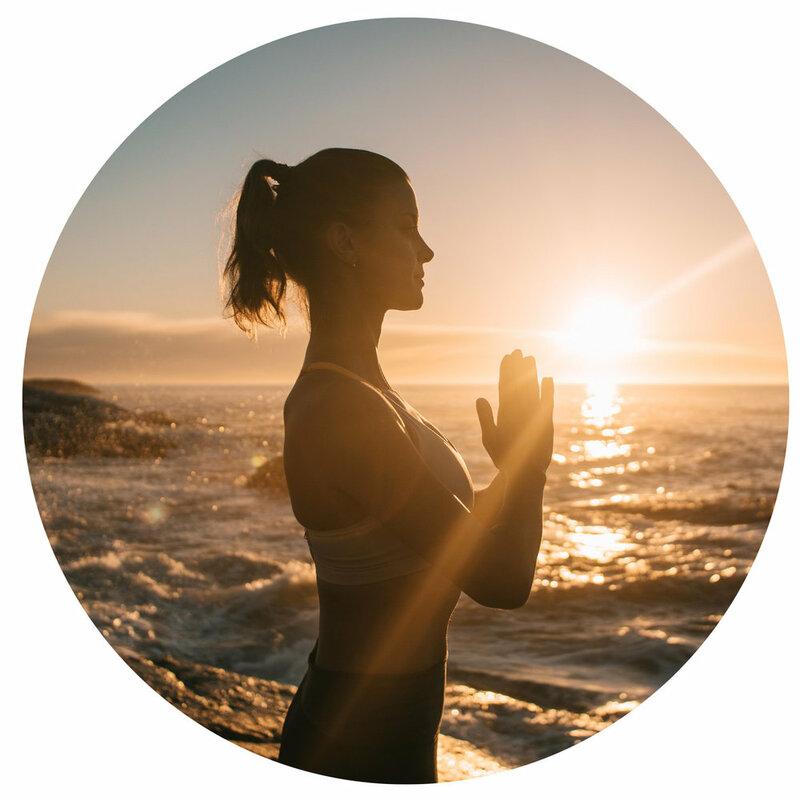 Yoga has a central place in Joëlle’s life and has in many ways not only physically and mentally made her stronger, but has also made her live in a more mindful, balanced and conscious way. Yoga has been life changing for her!! Thanks to her many years of experience and endless love for exercise and yoga, she expresses her passion through her challenging, dynamic classes and teaching style. Joëlle encourages participants to listen to their own body and mind. Correct alignment and execution of exercises and poses is very important for her. She supports her clients to adjust their workout and poses according to their personal needs at that specific moment and by practicing with precision. After a class or session with Joëlle you will feel satisfied and you will go home with a feeling of outer & inner strength! Joëlle is also very honoured to teach teachers during the amazing level 2 Yoga Teachers Training at Radiantly Alive, Ubud, Bali. Last but not least, Joëlle is extremely grateful to be an ambassador for adidas, Lorna Jane, Manduka and her favourite charity, The EarthChild Project. She also owns her own NGO called Dharma Project, which is all about giving back and aims to make yoga available to anyone. The main yearly project is International Day of Yoga Cape Town.